Zipper’s drupa twilights: What took place? What remains? Print 4.0! 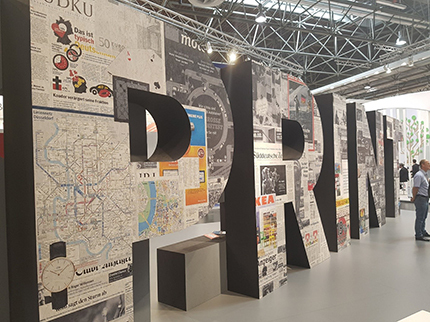 Without a doubt – drupa 2016, the former mecca of the printing industry, was a successful event. Even if the industry took heart again and orders were placed at a level not seen for a long time, somehow the charisma of the trade fair was gone. But why? Yes – I was there, too, hopefully also being noticed. 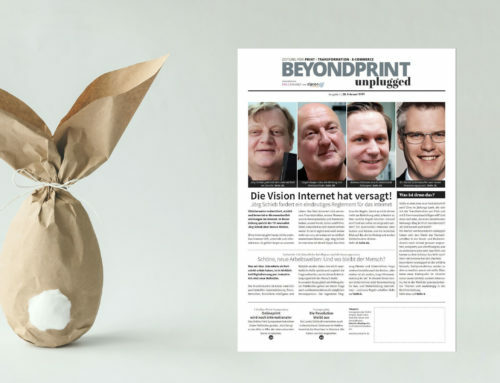 Our project with HdM Stuttgart, the “Real Innovation Seekers”, worked rather well, and we were able to report on some of the innovations on beyond-print.de. Besides presenting my daily lectures at the stand of CloudLab, I had numerous appointments and the opportunity to talk with an unbelievable number of people – despite my areas “E-Business Print” and “Online Print” enjoying only a moderate representation. Some solution providers were indeed on site – unfortunately I met many providers from the software sector only as visitors. And that did make me wonder somehow. My question, “why they did not exhibit?”, was generally met with the clear answer: “We are not going to do any business here – we meet our customers on the net.” Even many members of the initiative Online Print e.V., which I am fortunate to chair, simply stayed away from the trade fair, or “simply stopped by, just for a day.” The members of IOP who were exhibiting at drupa – primarily Kollin, Trivet.net and Obility – were, however, rather satisfied. Benny Landa, Stephan Plenz of Heidelberg and other industry leaders from mechanical engineering were also extremely satisfied. The question remains: What happened? Why is drupa simply of no interest for some, even though they are part of the industry, and for others it is the absolute highlight? Still, there were numerous mega deals at the trade fair: Shutterfly (25 HP Indigo 12000), Cimpress (renewal of the B2 machines and partnership with Landa), etc. But these deals are usually arranged beforehand and are merely announced during drupa. But seriously: The big boys would have bought even without drupa, because they are growing extremely fast and simply need the machines. But why were some of the Print Cloud providers not present on site? In particular, why did some of the innovative software providers stay away from the trade fair, where their future customers were busy hustling and bustling? I believe it’s due to the fact that drupa should have reinvented itself a long time ago, and the trade fair simply does not rate highly specifically for young, innovative software providers for Online Print – or even worse, they are unaware of it. Without a doubt, what the colleagues organized with the drupa report (Print, Online and App) is truly outstanding. Public relations work was also going like clockwork – but the rest of the offering was not really anything new or innovative. Just business as usual – for a trade fair with a four-year cycle in the Internet age truly counterproductive. One could seriously ask oneself whether that suffices to appeal to a new, younger audience and the exhibitors from the e-business environment. Not that anyone misunderstands me, what Ira Melaschuk accomplished in the drupa innovation park deserves credit. In the framework of the importance of Web-to-Print and E-Business Print, though, it is only a drop in the ocean. But now I can no longer hold back and have to come clean: Yes, my heart still belongs to drupa, and especially since I was part of the drupa team until 2008, it more or less saddens me that drupa is turning into a run-of-the-mill trade fair because of “non-innovation”. At least as far as new target groups are concerned. The calculation of the Trade Fair Düsseldorf may quite work out, but here it is also of concern as to where and how the industry meets. It was smart to design the halls 7 and 7a as “Software Halls” so that the leading providers of “E-Business Print Economy” Chili, Hybrid, CloudLab as well as numerous MIS providers were located there. But industry leaders from the area of marketing automation, such as Brandmaker, Teradata or even Adobe (and yes, they are also active in this area now) stayed away from the trade fair. In the same way, important support partners for online print, such as Hubspot, were nowhere to be found. 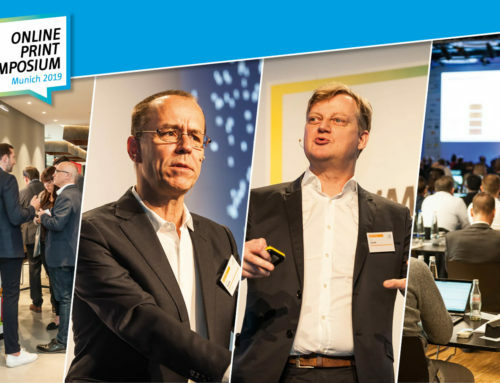 As a result, the online printer is left to remain informed in the future by relying on Co-Reach, Dmexco and Co. The companies that are just entering online print will only find out rather late that important players did not attend drupa. As euphoric as some machine manufacturers were able to celebrate their (generally successful) start into the Inkjet era and cleverly make their sales, the feedback of some visitors returned as mixed in comparison. While some, older visitors were in search of the “old drupa spirit”, others were happy that they could just get a glance beyond the horizon – thanks to the software halls – to find some inspiration. Core topics at drupa 2016, as far as I am concerned, were primarily “Print 4.0” – following Industrie 4.0 (a flexible concept that is actually beginning to bore me to tears), digital post-press and, of course, Inkjet. 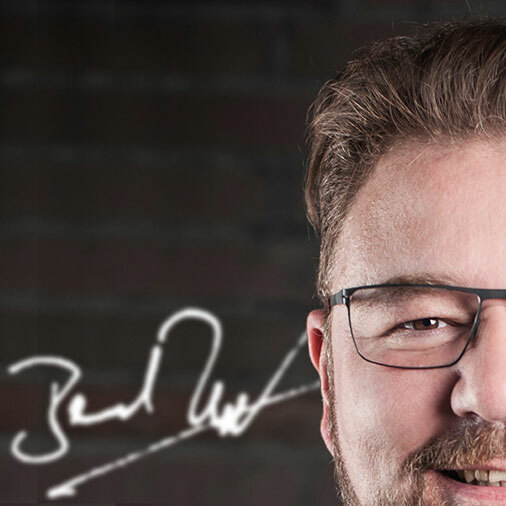 Print 4.0 is the paramount topic of the next years: Because the large providers have finally begun to understand that a little bit of prepress software for automation is not cutting it – on the contrary, new concepts are needed. 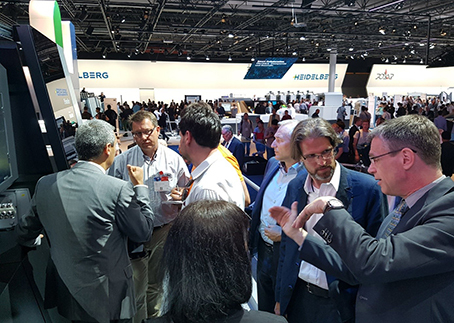 Heidelberg and HP are clearly at the pole position here, and none other than Heidelberg presented a concept which (of course) in conjunction with the right machine will be implementing an almost autonomously operating printshop. Understandably, it may take some time until everything runs smoothly. 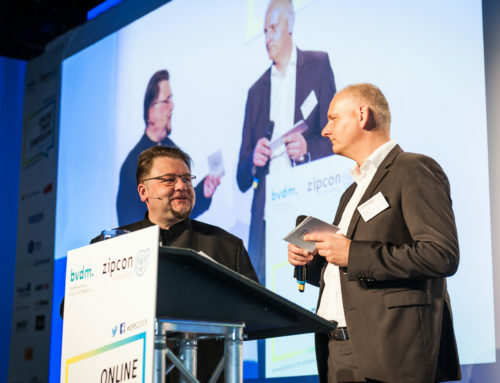 The approach is surely right, and I would like to see other providers start developing in this direction – and launch not just a few drupa winners. 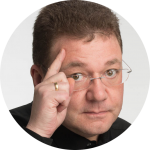 My take: As such, drupa 2016 perfectly demonstrates what will happen in the next few years: Those who do not automate and truly utilize the performance of their machine (hopefully as new as possible), will no longer be able to keep up in the price race. 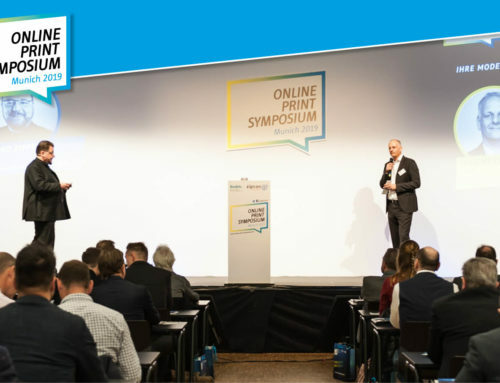 Print 4.0 is nothing else but a message to the industry that a new era is being ushered in – the era of print run “n”, thanks to Inkjet independent of the run length, but also the era of the “autonomous printshop” in which the printer becomes the operator. Both will present a challenge for the “manually” thinking print industry; in the future, the market will be shaped by the person who can not only offer his services faster and more cost-efficient, but also the provider who can offer attractive prices regardless of the run length.Here, it is specifically Inkjet which occupies center stage: As soon as the price of ink becomes more attractive and the heads even more robust, this method will supersede offset, for at least up to run lengths between five and ten thousand. In times of decreasing print runs, anyone should know what that means. 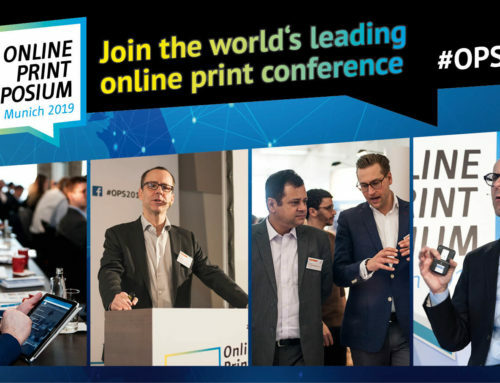 Let us look forward to drupa 2019, err – sorry, 2020 – then at the latest we will see what the main providers will do with the topic Print 4.0. Perhaps, we can also think of a more fitting term by then.